My husband was just in the hospital and they told him that he has a vitamin B12 deficiency that is why he is having problems with his memory, being weak etc. But no one will tell us if it is reversible if he will get his memory back... So my question to u is Is the effects of the vitamin B12 reversible??? Comments for Is Memory Loss from Vitamin B12 Deficiency Reversible? Memory loss from Vitamin B12 deficiency CAN be reversible, that does not mean it IS reversible in your husband's case. It will depend upon how long he has been deficient and whether there is permanent damage or not. The only way to find out is to give him high dose vitamin B12 for several months to a year to find out. Please see my page on Vitamin B12 Deficiency Treatment and my page on Methylcobalamin B12 to see why that is the ONLY form of B12 that I recommend, particularly for mental issues. Also, your doctors seem to act as though that is the only nutrient that he could possibly be deficient in, but did they test him for anything else?? It's unlikely. 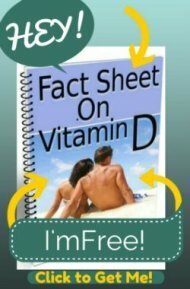 Please see my page on Symptoms of Vitamin D Deficiency which can lead to similar symptoms and he is almost CERTAINLY deficient in vitamin D.
Also, the question that doctors never address is WHY would your husband be vitamin d deficient? Either you are eating horrible with lots of processed foods, or he is not absorbing nutrients anymore. In either case, would be be deficient in 'just' one single nutrient? Unlikely. I would suggest that he gets his vitamin d level done as well and that you highly consider getting him on a GOOD QUALITY MULTIVITAMIN AND MINERAL SUPPLEMENT (NOT a Centrum, One A Day or other 'store bought' vitamin) like Beyond Chelation Improved Multivitamin and Mineral Daily Packs along with the Methylcobalamin B12 and Vitamin D.
In addition, improving his diet (and yours!) is a MUST. I highly suggest that you get and follow the instructions in The Healthy Urban Kitchen ebook, which will get your diet back on the right track so that he will get off any 'inflammatory' foods and foods that are irritating to the digestive tract that may be preventing him from absorbing nutrients. Also, not absorbing nutrients is a common problem of infection from H Pylori Bacteria, which I'll bet your doctors didn't even test him for but which is extremely common and should be eliminated if it's found. B12 How long is too long? Another problem is I'm sensitive to B12. Is there a reason for that? For what it's worth I have normal blood work otherwise. Since you can't go back in time, it's irrelevant whether it's been 'too long'. 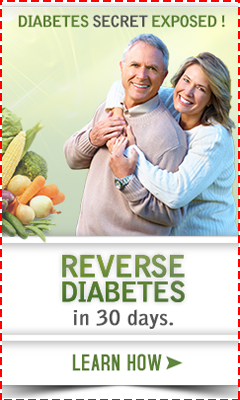 You can only do what you can do going forward, resolve your deficiency, and resolve other issues, like diet and vitamin D deficiency, etc. and see how you feel. Health is not something you do in the past, nor will poor health magically resolve from taking a few pills. Rarely is poor health due to ONE specific thing that one can take a pill and have it go away. For instance, if you are vitamin B12 deficient, WHY? B12 deficiency doesn't just occur randomly, it occurs for a reason, and to get down to the bottom of your poor health, you need to figure out the cause of your B12 deficiency. See my page on Vitamin B12 Malabsorption. And it's unlikely that B12 deficiency is the only deficiency you have. And 'normal' bloodwork rarely is. Bloodwork only tells you whether you have a DISEASE or not, it does not tell you if you have OPTIMAL numbers for health. And Vitamin B12 deficiency CAN give you the symptoms they report, but it doesn't always give everyone the same symptoms. I was simply curious being that there are no other glaring reasons to explain some of the severe issues I'm having. I've also read that B12 is the one nutrient that can cause serious serious problems and is often simply resolved with injection or sublingual.